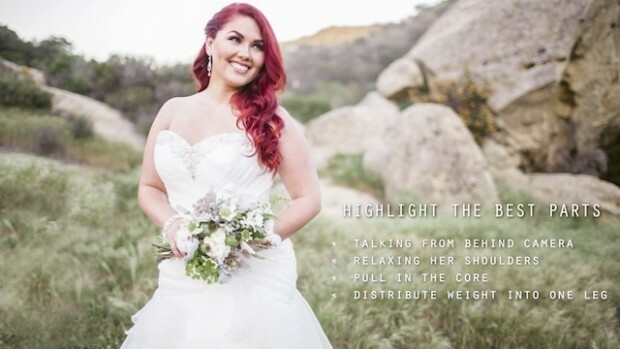 When Jasmine Star taught The Complete Wedding Photographer Experience she filmed a shoot with a curvy, size 16 bride so viewers could see how easy it can be to make every woman look her best. 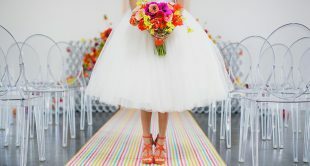 No two brides wear their weight (or their dress!) 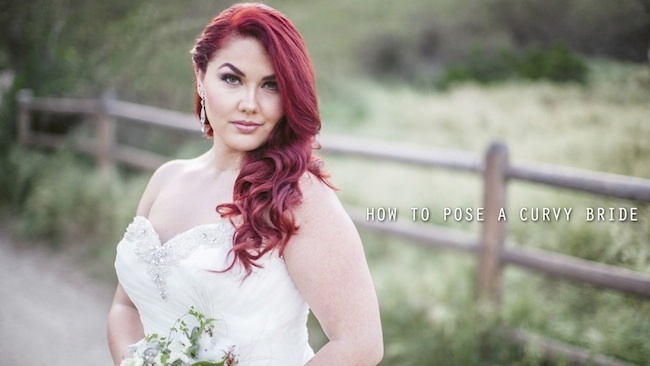 the same, but there are consistent techniques all photographers can use to help everyone look great in the photos from their big day. 1. Talk from behind the camera. A nervous bride isn’t a good look. 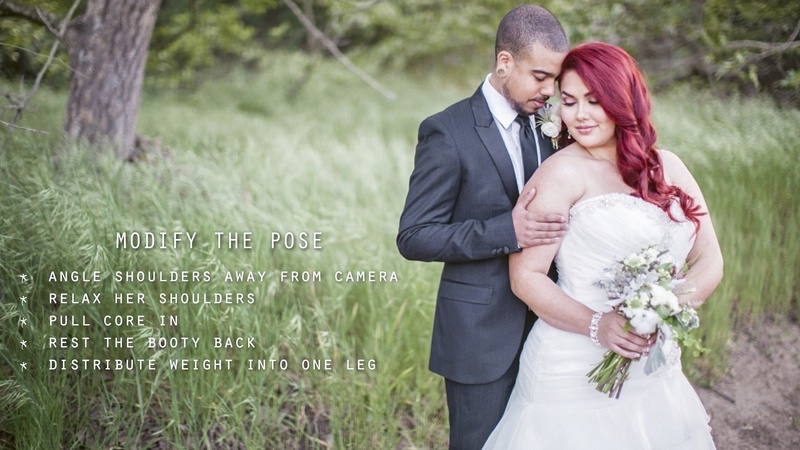 Talk to your bride so she feels calm, comfortable, and relaxed – it shows! 2. Relax her shoulders. Speaking of being relaxed, coaching a woman to drop her shoulders will elongate her neck and convey confidence. 3. Pull in the core. Jasmine chooses her words carefully. Focusing on the core (not tummy!) makes the female form look stronger and improves overall posture. 4. Distribute weight onto one leg. This trick helps to bring the weight off both knees and gives a flattering effect.